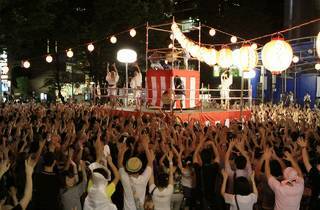 Japan's summer obon festivals are synonymous with communal dancing, which makes it a shame that there aren't more of them held here in Tokyo. Ryohei Kondo, leader of comedy dance troupe Condors, sought to redress this when he started his own 'New Bon Odori' in Ikebukuro in 2009, supported by local theatre Owl Spot. Now an established fixture on the annual calendar (even if its date seems to change each year), the New Bon Odori is open to everyone, and looks like a lot of fun. 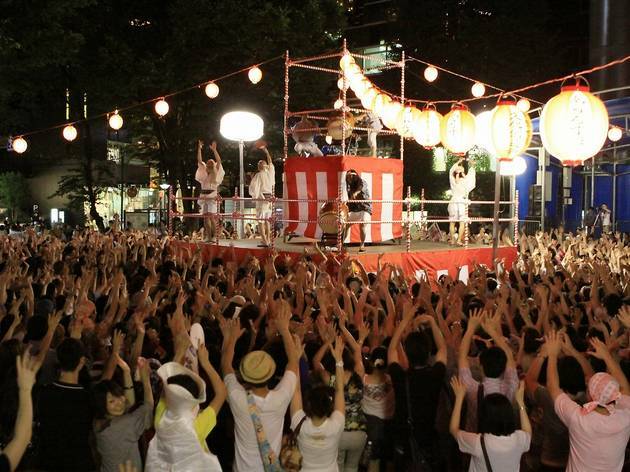 Put your yukata on and head to Ikebukuro West Gate Park on the evening of July 29 to take part.